You can view your past invoices, copies thereof and manage your data. 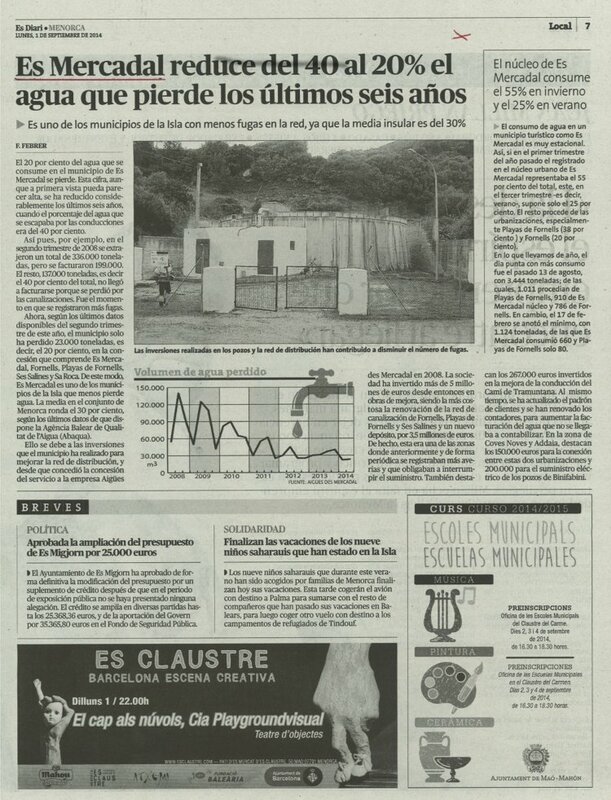 News in "diari de Menorca". Introducing the new web d'Aigues Es Mercadal. From this website you may gain access to a virtual office, where process any transaction without scrolling our office. the correct meter reading and keep the reading. Information and form for a change of address for receipt the bill. to process information and form Down the contracted service. the change in ownership of the contract. Information form to process discharged from the service. form to request information a copy of the invoice.